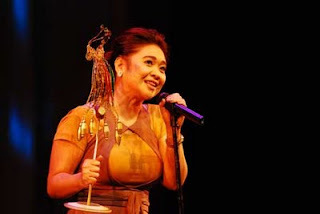 ANG BABAE SA SEPTIC TANK was named the Best Film with its lead star Eugene Domingo winning the Best Actress award and Best Direction award for Marlon Rivera in the New Breed Full Length Feature Category of the 7th Cinemalaya Independent Film Festival and Competition. Ang Babae sa Septic Tank also won Best Screenplay (Chris Martinez) and the Audience Choice Award for the New Breed category. This was announced in the Cinemalaya Awards Night held on July 24, 2011 at the CCP Main Theater. Bisperas by Jeffrey Jeturian won Best Film in the Directors Showcase while Walang Katapusang Kwarto by Emerson Reyes won Best Film in the Short Feature category. The Best Direction award went to Auraeus Solito for Busong in the Directors Showcase category and to Rommel “Milo” Tolentino for Niño Bonito in the Short Feature category. Special Jury Prize went to Niño by Loy Arcenas in the New Breed category and to Hanapbuhay by Henry Frejas in the Short Feature category. No Special Jury Prize was awarded in the Directors Showcase category. In the New Breed Full Length Featurecategory, Edgar Allan Guzman won the award for Best Performance of an Actor in the New Breed category for his role as Intoy in Ligo na U, Lapit na Me; Shamaine Buencamino and Art Acuña won the awards for Best Supporting Actress and Actor for their roles in Niño. Amok won Best Editing (Lawrence Fajardo) and Best Sound(Mike Idioma). Nino won Best Production Design (Laida Lim) and Ang Sayaw ng Dalawang Kaliwang Paa won Best Original Music Score (Christine Muyco and Jema Pamintuan) and Best Cinematography (Arvin Viola). In the Short Feature category, Best Film winner Walang Katapusang Kwarto by Emerson Reyes won also the awards for Best Screenplay for “its clever and funny conversation that reveals character and place with a revealing twist” and the Audience Choice. Directors Showcase Best Film Bisperas scooped up a total of five awards. Raquel Villavicencio won Best Performance by an Actress for her role as the beleaguered mother. Bisperas also was given the awards for Best Cinematography (Roberto Yñiguez) Best Performance of a Supporting Actress (Julia Clarete) and Best Production Design( Rodrigo Ricio). Auraeus Solito’s Busong won awards for Best Sound and Best Original Music Score (Diwa de Leon). Rafael “Bembol” Roco won the Best Actor Award for his performance in Adolfo Alix’ Isda in the Directors Showcase category. Isda was also given the award for Best Editing (Benjamin Tolentino). Best Performance by a Supporting Actor in the Directors Showcase category went to Jaime Pebanco for his role in Patikul by Joel Lamangan. Patikul was also awarded the Audience Choice award in the Directors Showcase category and a special Cinemalaya Kids Treats award. There was no Special Jury Prize awarded in the Directors Showcase. In the NETPAC Premieres category, the film Boundary by Benito Bautista won Best Film. Cinemalaya, now on its seventh year, was held July 15-24 at the CCP and Greenbelt 3 Cinema. Cinemalaya is a project of the Cinemalaya Foundation, Cultural Center of the Philippines (CCP), Film Development Council of the Philippines and Econolink Investments, Inc. It is an all-digital film festival that aims to discover, encourage and honor cinematic works of Filipino filmmakers that boldly articulate and freely interpret the Filipino experience with fresh insight and artistic integrity. Cinemalaya will move over to UP Diliman's Cine Adarna on July 26 to August 5. Call Call 09272990318 for ticket reservations. Get screening schedule of Cinemalaya in UP.